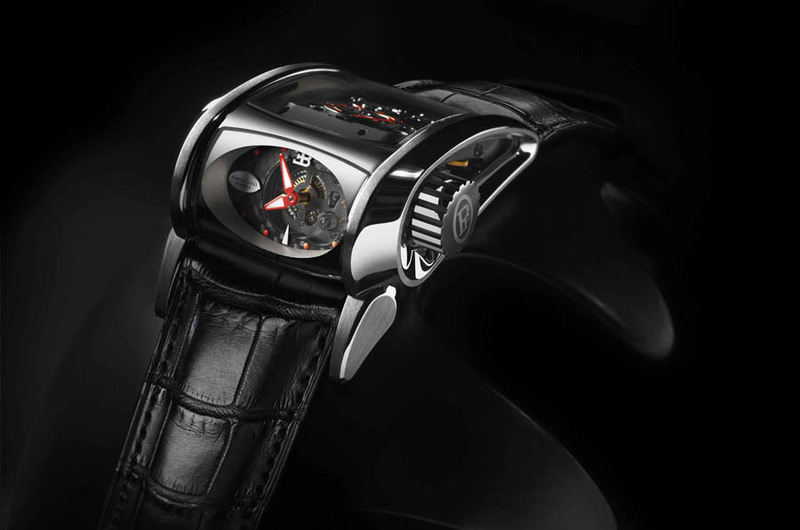 Bugatti has teamed up with Parmigani developers to create a new watch that mirrors and complements their Bugatti Veyron 16.4, which is the fastest car in the world. 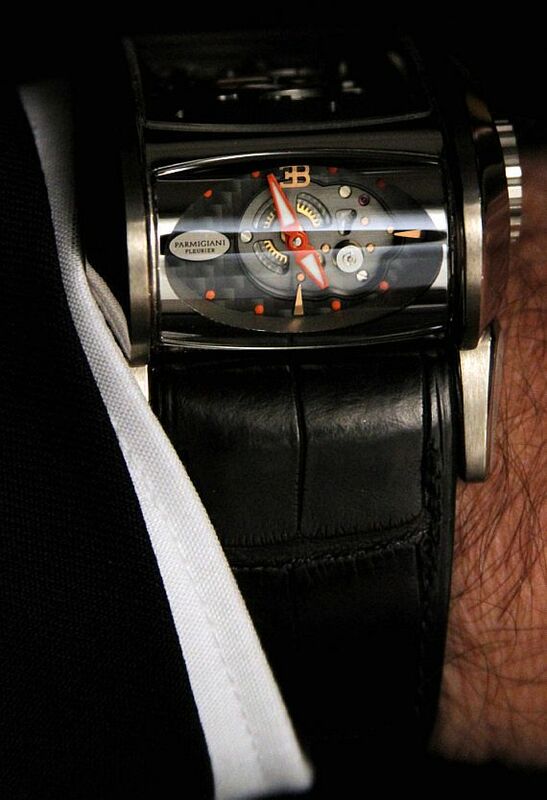 The Super Sport Bugatti watch is an evolution of the Parmigani Bugatti 370 watch collection. 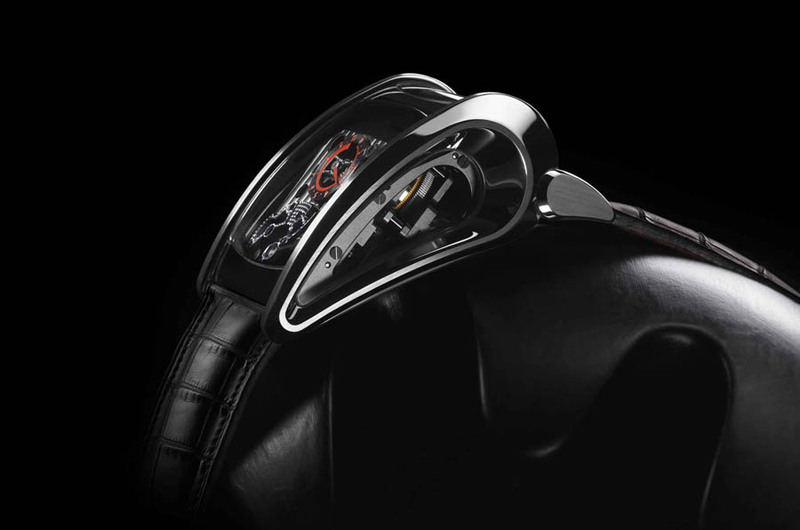 It features a partial carbon fiber dial has a 10-day power reserve and a 10 meter meter water resistance. It is also placed perpendicular to the axis by integrating a system of double pinions with bevel gearing. The timepiece is limited to 30 pieces with straps courtesy of Hermes Paris, made up of 18 carat white gold and is priced at $259,000.